There are many mystery writer organizations around. Here’re a few to keep in mind. One major project for S-in-C has been to contact newspapers and magazines and ask them to publish more reviews of women authors. Progress has been made, but it’s still a man’s world. Sisters has also worked to assure that women authors are judged for mystery awards the same as men are. Sisters strive to be more educational that anything political. There are chapters all around the country and even international chapters. The national organization has published book guides to selling, to promotions and specifically for author signings. 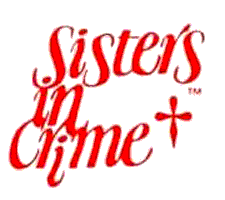 Sisters national organization generally meets at Malice Domestic in May and at Bouchercon in the fall. Other Organizations include: Thriller Writers of America and American Crime Writers League. Great intro to three great organizations, Jan. Each one helpful to writers in their own ways. What a perfect opening! Just have to mention: If you are a Canadian crime writer, or aspiring writer, the equivalent to MWA is Crime Writers of Canada, (of which I am the Executive Director!) CWC sponsors the Arthur Ellis Awards for Crime Writing in 8 categories. Contact me for more information. Great organizations. I’m going to apply for Active PWA membership this month, and am working toward Active ITW and MWA memberships. (Someday!) I hadn’t heard of ACWL, thank you for mentioning them. Another terrific group is the Short Mystery Fiction Society, which sponsors the annual Derringer Awards for excellence in short mysteries. SMFS is free to join and its 1,600 members include published and unpublished writers, readers, editors, publishers -- anyone who loves mysteries, especially short stories. SMFS operates a Yahoo Groups online discussion forum, where you can join free. (Google: yahoo groups short mystery fiction) Once on the forum, members can read and post about all aspects of mysteries and, after a year’s membership, can nominate stories for the Derringer Awards and vote for their favorite finalists. Melodie, thanks for mentioning CWA, they are another great organization for sure. They've been around for a long time also. Peter, glad to hear you're planning to join PWA. I have enjoyed being a member for many years. And thanks for mentioning the Short Mystery Fiction Society. I knew about them but had forgotten. Do you have contact information? Yes, PWA seems like a great group. For SMFS contact info, in addition to the Yahoo Groups forum, the SMFS blog has contact info for the President (Jan Christensen), Vice President (John Lindermuth), and Awards Coordinator (Tony Rudzki). I’ve copied the blog link below (or Google: short mystery fiction society).